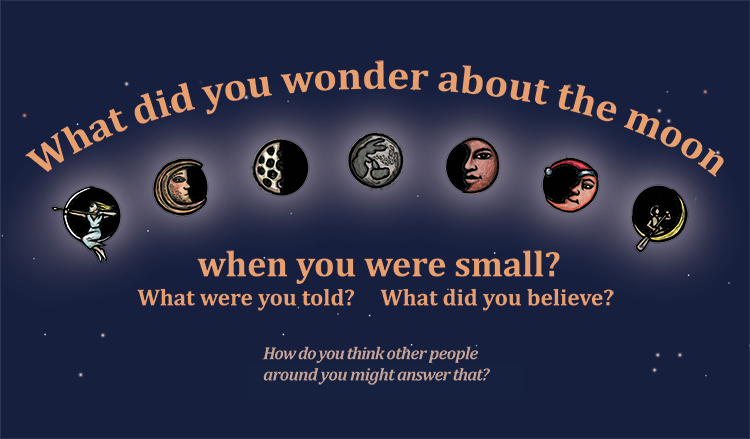 What did you wonder about the moon when you were small? What were you told? What did you believe? This was one of six posters I created to be displayed in city buses in the Minneapolis-St. Paul metro area, thanks to a grant from the Minnesota State Arts Board. The “CuriousCity” project encouraged riders to discuss the thought-provoking questions and images on each poster with each other and through a website. Some teachers now display the posters in their classrooms. See all six posters here.